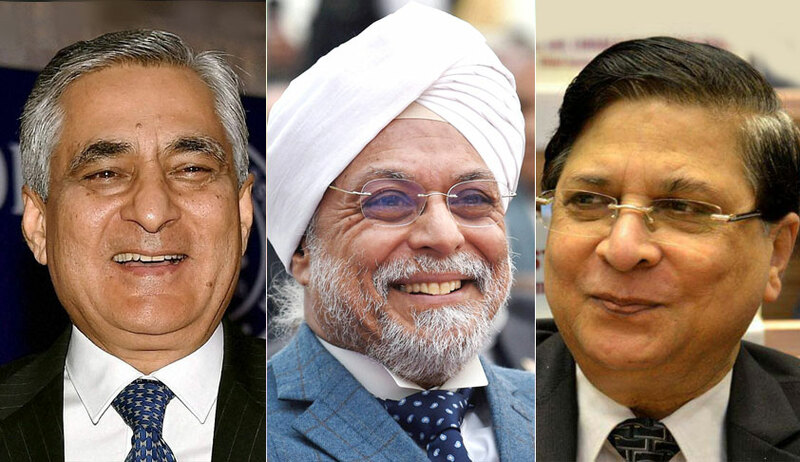 In 2017, India had three Chief Justices of India in the same year. CJI T.S.Thakur, appointed on December 3, 2015 held office till January 3, while CJI J.S.Khehar, appointed on January 4, held office till August 27. CJI Dipak Misra, appointed on August 28, will retire on October 2 this year. This was the eighth time since the beginning of the Supreme Court, that India had three CJIs in the same year. Previously, the same year saw three CJIs in 1954, 1966, 1989, 1991, 1998, 2004, and 2014. 2002 was the only year which saw four CJIs being appointed in quick succession. CJI Bharucha held office from November 1, 2001 to May 5, 2002. CJI Kirpal held office from May 6, 2002 to November 7, 2002. CJI G.B.Pattanaik held office from November 8, 2002 to December 18, 2002. CJI Khare, who took over from December 19, 2002, retired on May 1, 2004. Prime Minister Narendra Modi expressed his regret that CJI Khehar had a very short tenure, lasting just about eight months. No wonder, CJI Khehar sought to make use of the summer vacation to hear important constitutional matters like triple talaq, and deliver verdicts in long-pending cases like right to privacy, before his retirement, to make the most of his eventful, but short tenure. But some of CJI Khehar’s predecessors had a much shorter tenure than him. CJI K.N.Singh held office from November 25, 1991 to December 12, 1991, lasting just 17 days. Before him, Justice A.K.Sarkar served as the CJI from March 16, 1966 to June 29, 1966. CJI Bharucha served for about seven months. CJI Kirpal served for about six months, while CJI Pattanaik held office for just 40 days. CJI S.Rajendra Babu, held office for just 29 days, from May 2, 2004, to May 31, 2004. CJI R.M.Lodha held office for just five months, from April 27, 2014 to September 27, 2014. 2018 will have two CJIs, as the present CJI, Dipak Misra will be succeeded by Justice Ranjan Gogoi on October 3. But the phenomenon of short-tenure CJIs is likely to the bane of the Indian judiciary, in the near future, if the line of succession in the Supreme Court at present is any indication. Among the likely successors to the post of the CJI, Justice Uday Umesh Lalit, will have the shortest tenure, lasting for about two and a half months in 2022. Before him, Justices Ranjan Gogoi, S.A.Bobde, and N.V.Ramana will have sufficiently long tenures as the CJIs. Justice Lalit will be succeeded by Justice D.Y.Chandrachud who will have a tenure lasting for two years, before his retirement. The principle of seniority in the date of appointment as Supreme Court Judges, coupled with the retirement age on completion of 65 years, which governs the succession of CJIs, has come under criticism from scholars and observers, for the aberration of short-tenure CJIs, and quick succession of CJIs in some years. The alternatives suggested include a change that after a few years, the CJI will have a fixed term of two years and those Supreme Court Judges, who have less than two years to go before their retirement, will not be considered for appointment as the CJI. However, this requires a consensus within the Supreme Court Collegium, and a change in the Memorandum of Procedure (MoP) for appointment, whose revised draft is yet to see the light of the day, after the Supreme Court’s judgment in the NJAC case in 2015. A minimum two-years tenure as the CJI will help the incumbent CJI to strike a balance between his administrative and judicial responsibilities, besides testing the effectiveness of reforms which he has in mind. Others, however, suggest that any change aiming at a longer tenure for the CJI must be accompanied by suitable reform of decision-making by the CJI in his administrative capacity. They point out that the CJI, as the master of the roster, must not have unbridled power, and be guided in his decisions by a collegium of senior judges.